Decor: Cozy, painted walls, rugs, a rather antique home-y feel, a world traveler’s aesthetic combined with shabby chic. Nice Eastlake door pull! I am not in the best position at the moment to offer a qualified assessment as to the taste of the items I ordered, since I’m in the healing phase of a nasty chest cold and my sense of taste is almost entirely gone. 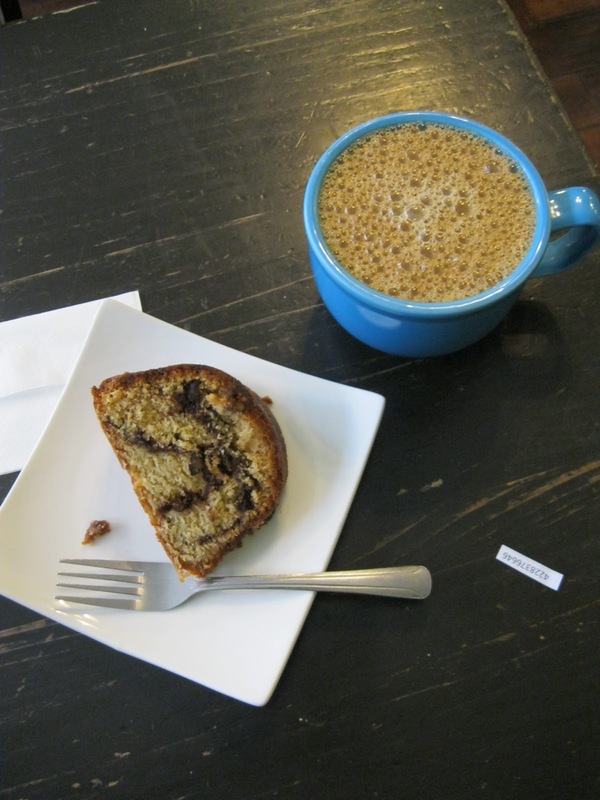 What I could taste of the coffee is nice and earthy, as I like it, and the coffee cake seemed fine too. A little quibble: the cake came out of a refrigerated case, which is good for freshness, I know, but a cold slice of cake is a less tasty slice, and it spoils the texture a bit. If I wasn’t so hungry (I woke up early to get my teeth cleaned and then came straight here, so this is my breakfast) I would have let it reach room temperature before I gobbled it up. 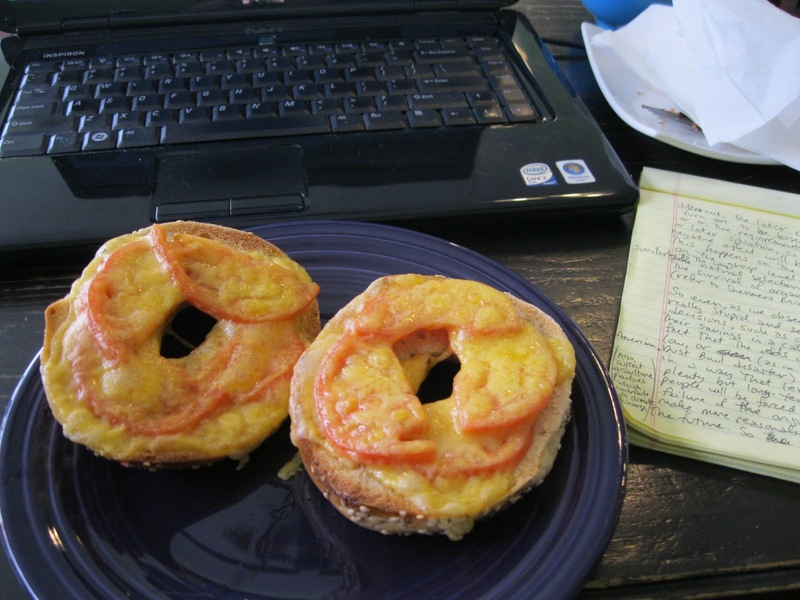 The bagel melt was perfectly toasted, the real cheddar cheese had that lovely crispy bubbly outside and melty inside that a melt should have. All in all, a pleasant experience. This entry was posted in This & That, Written by Amy Cools and tagged free wifi, http://schemas.google.com/blogger/2008/kind#post, Hungarian coffee cake, Restaurant, Review. Bookmark the permalink.